Details have emerged on why Nigerian singer, Dammy Krane was kicked out of legendary musician, Tuface's record label. 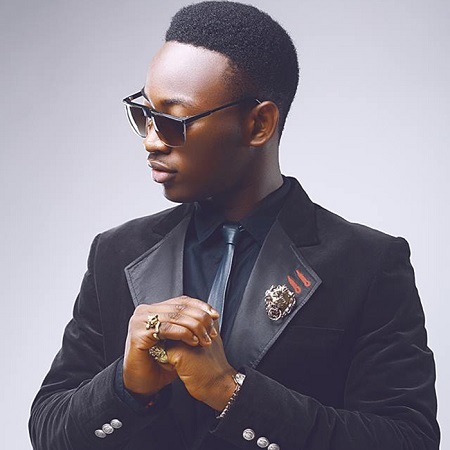 Following the arrest of Nigerian singer, Dammy Krane in Miami, USA days ago on grounds of credit card fraud, grand theft and impersonation, a source close to the singer has revealed the alleged reason why he was kicked out of Tu Face Idibia’s record label, Hypertek records. Recall that the singer was reported to have used stolen credit cards to book a private jet with a Hire-A-Jet company, tapJets leading to his arrest alongside his alleged accomplice and show promoter, Chukwuebuka. The source close to the singer who has now been released on $22,500 bail revealed that the Tu Face and Hypertek recods had issues with the singer leading to his exit. The source further stated that since Dammy Krane’s exit from the record label, he has been on a constant hunt for sponsors. The source added: “Dammy Krane had left Tuface’s Hypertek record since February 2015. Tuface is trying to build a reputable company and they do not want any negative news. That is why they did not announce his exit from the label. They had issues with him over the way he was doing collaborations with other artistes. It was not part of the contract that he signed, so technically it is a breach of contract. “They gave him several warnings which he did not adhere to, so they had no choice but to terminate the contract that they had with him. “They did not make any noise about it because they did not want anything that would dent his image and that of the company. He was in the US to get new investor to help his career and also shoot some videos because he already had new material.